He overcame a life in the circus and spent his last years so happy. 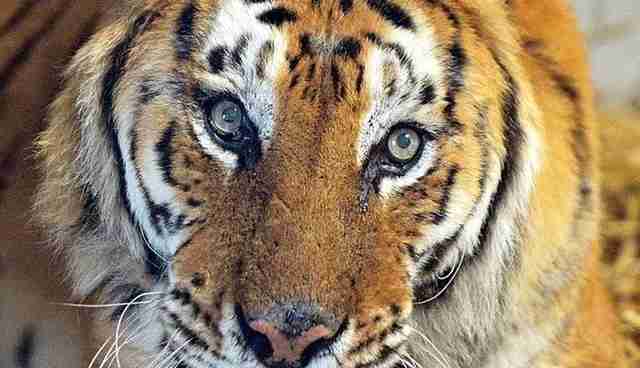 Tango, the U.K.'s oldest tiger, died on Saturday at the age of 22. England's Woodside Wildlife and Falconry Park put Tango to sleep due to old age and deteriorating health. Tango was bred in captivity in the U.K. and rose to fame after being featured in Esso Petroleum's famous "Put a tiger in your tank" television ads during the 1980s and '90s - although Esso claims it can't confirm if Tango was specifically used in a commercial during that time. Sadly, Tango's life only became more difficult before it got better. He was shuffled into a German circus, where he and his partner, Julia, were both allegedly mistreated. Belgian and German authorities eventually intervened, rescuing Tango and Julia, along with two lions from the circus in 2014. 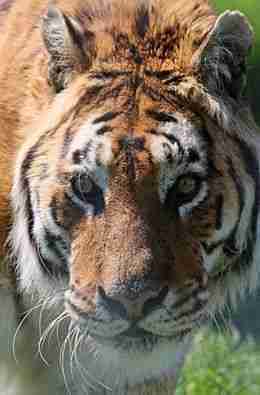 Uncertain with what to do with the tigers, authorities decided that they would put the tigers to sleep - until Woodside Wildlife Park stepped in with a six-month-long campaign to raise the funds needed to transport the tigers to the park just hours before they were killed. At the time, Tango was 18 years old. 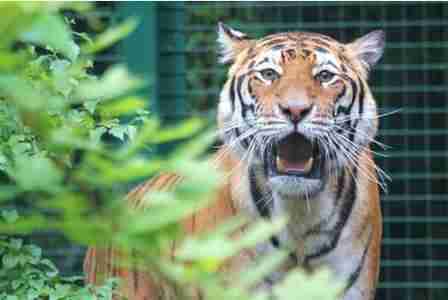 "It's been six months of planning and building an enclosure - a lot of hard work by our team here at Woodside," Neil Mumby, director of Woodside Wildlife Park, told the Telegraph shortly after the arrival of the two tigers. "Happily, he is here with us now and he will be able to enjoy his retirement with his partner Julia, who is only 8 years old. She keeps him young." Despite his rough past, Tango was known to be a gentle tiger, easily making him a favorite among his caretakers. "Because he was quite old when he came to us, I would say Tango has always been a gentleman," Mumby told the Lincolnshire Echo. 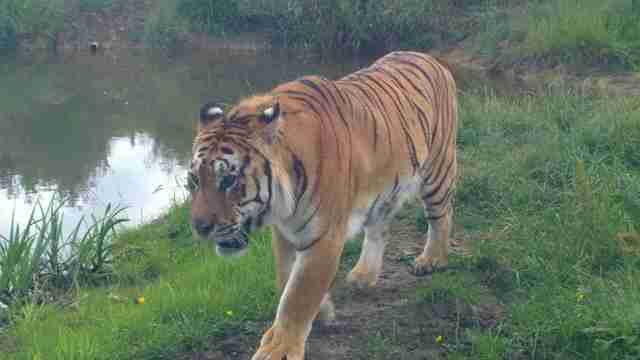 Mumby told the Lincolnshire Echo after the announcement of the tiger's death that he remembered when Tango first arrived at the wildlife park back in 2014. At first, according to Mumby, Tango didn't know what grass was and didn't like to be in the outdoor area of his enclosure. Soon, however, Tango grew used to his new environment and enjoyed spending his time chasing butterflies and taking dips in his pond. "We've been quite touched with the responses people have written and the photos everybody has put on Facebook. It's been quite amazing," Mumby told the local news outlet "... Everybody is going to miss him as much as we do." Tango's partner was also notably among the grieving. According to Mumby, Julia was "quite vocal" for the first 24 hours after Tango's death, although she's settled down now. There are currently no plans by park staffers to pair her with another tiger, as tigers tend to be solitary creatures in the wild. 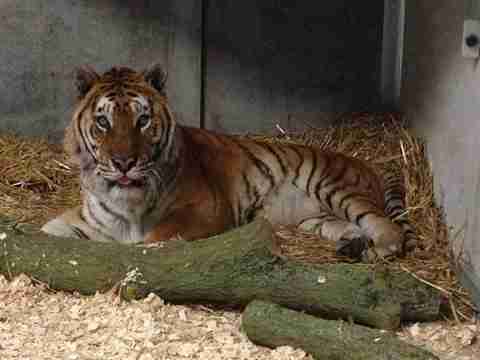 At the suggestion of Tango's fans, the wildlife park says it is working on a memorial by which to remember the tiger. 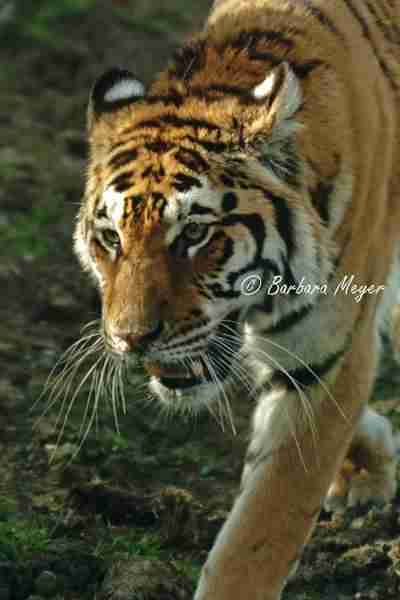 Want to help in the fight to protect endangered tigers? See how you can make a contribution here.